"We will fight to make that public," Rep. Nadler said of Mueller's conclusions. The top Democrat on the House Judiciary Committee said that the American people and Congress “are entitled to know” the underlying evidence in special counsel Robert Mueller’s investigation. “The Justice Department has made clear in the last few weeks that it may hide from the American people the conclusions of the Mueller investigation," Rep. Jerrold Nadler, D-N.Y., said on “This Week” Sunday. "We will fight to make that public. 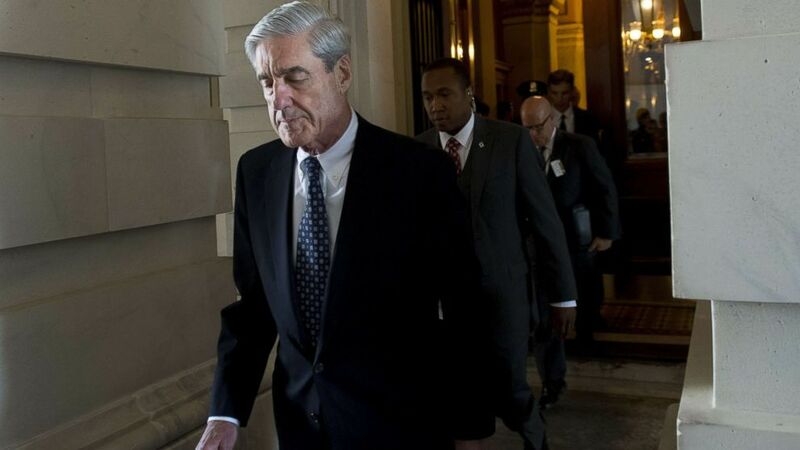 (Saul Loeb/AFP/Getty Images, FILE) In this file photo taken on June 21, 2017, former FBI Director Robert Mueller, special counsel on the Russian investigation, leaves following a meeting with members of the US Senate Judiciary Committee at the US Capitol in Washington. In an interview a week prior on “This Week”, Chairman of the House Intelligence Committee Rep. Adam Schiff, D-Calif., said his committee would subpoena Mueller’s final report and even call him to testify before the committee if the report was not made public. Schiff also said that he was “absolutely” prepared to sue the Trump administration, if necessary. 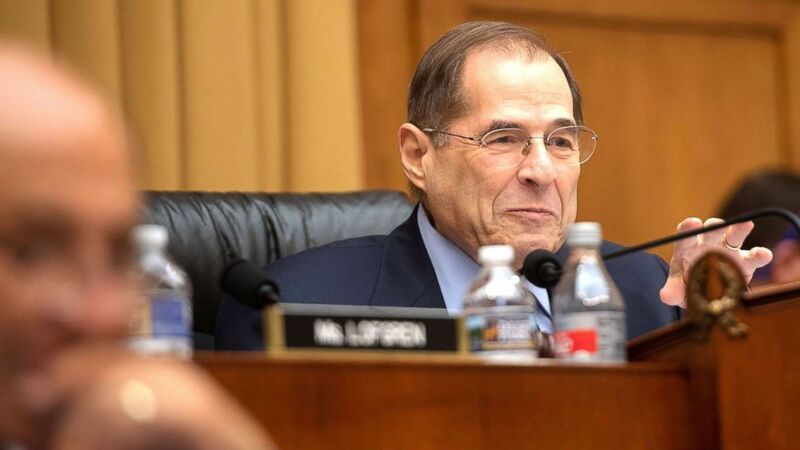 On “This Week” Sunday, Nadler said that the Department of Justice has said that “the normal policy that you don’t comment on the conduct of people who are not indicted will prevail. 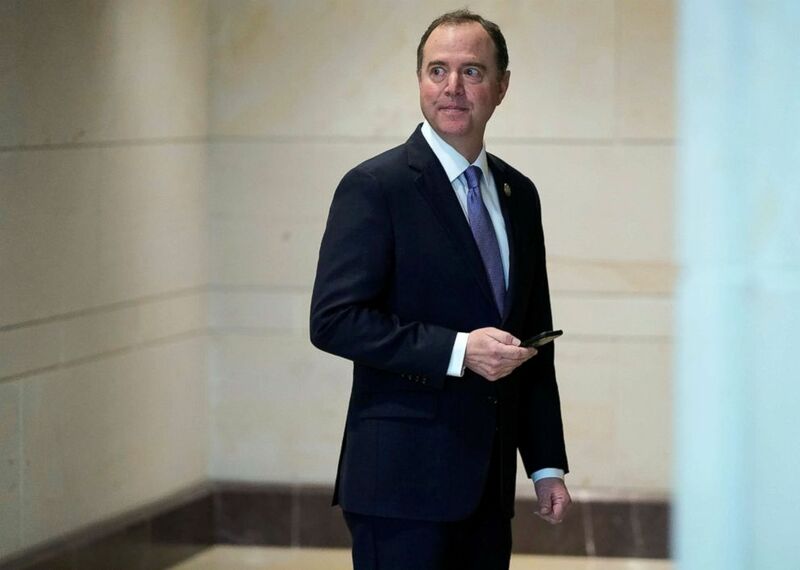 (Joshua Roberts/Reuters) Chairman of the House Intelligence Committee Adam Schiff (D-CA) arrives for a closed hearing with Michael Cohen, the former personal attorney of U.S. President Donald Trump, on Capitol Hill, Feb. 28, 2019. “So you’ll sue in that case?” Stephanopoulos asked. “We will subpoena, we will -- we will do whatever we have to do,” Nadler said. (Saul Loeb/AFP/Getty Images) U.S. Representative Jerry Nadler, Chairman of the House Judiciary Committee, speaks during a hearing with acting Attorney General Matt Whitaker on Capitol Hill in Washington, D.C., Feb. 8, 2019. Stephanopoulos also asked what Nadler would do if Mueller finished his investigation and said he found no evidence of collusion between the Trump campaign and Russia. “Is that a conclusion you’ll accept?” he asked. Pointing to other investigations the Democratic House may undertake, Nadler said, “We’ve seen attacks on the freedom of the press ... we’ve seen attacks on the Department of Justice, attacks on the FBI, attacks on -- on judges. All of these are very corrosive to liberty and to the proper functioning of government.